That 127 ACE last season was mostly due to the long-tracked Florence, which had 37 ACE. Michael was only about 11. 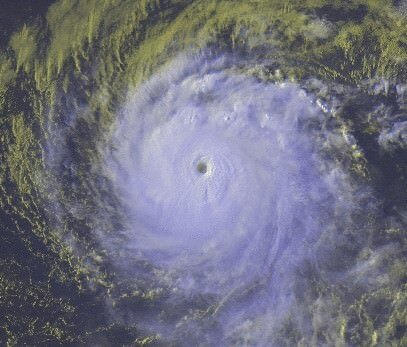 There were 6-7 subtropical storm which were named. The El Nino never developed last season, but conditions are much different in the Tropical Pacific this season. All signs point to below-normal activity. However, analog years suggest SE U.S. and East Coast impacts (and ACE 40-50 units). MDR looks rather hostile. Gulf is favorable if something forms in the West Caribbean. I'll be seeing Klotzback at the National Tropical Weather Conference on April 3rd, though we've been discussing the season for the past month. Over the past 30 seasons, the average has been 14 NS, 7 H, and 3 MH. I have to disagree with you there. I think it's a topic (areas that may be at higher risk for impact this year) that can be predicted. 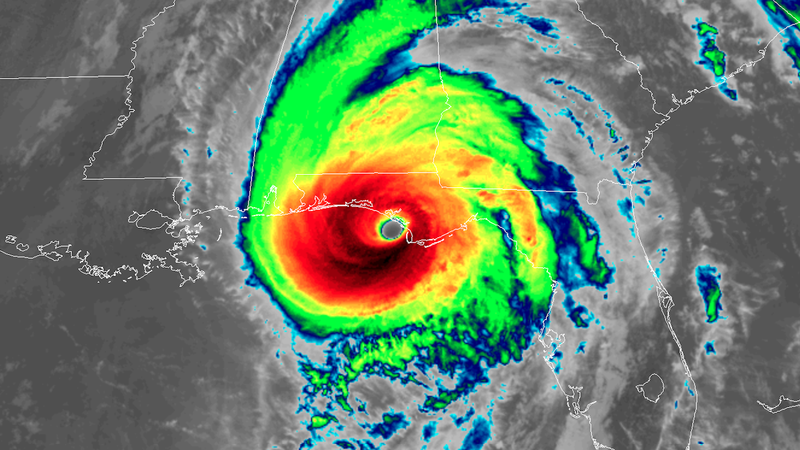 Giving the user of your product just numbers (I'm going with 10 named storms, 6 hurricanes, 3 major hurricanes) & just saying all areas are at risk & it only takes 1 doesn't really say much. As we have all seen, a very quiet season in terms of numbers can yield some big impact storms. Alternatively, high number storm years have ended up being quiet impact wise. So, in coming up with a potential impact threat forecast, which you can look at by visiting https://crownweather.com/wp-content/uploads/2019/03/2019forecast.png, I used a combination of analogs (went with 1953, 1961, 1969, 1976, 1984, 1990, 1997, 1999 and 2015) as well as looking at the UKMET, CFS, NMME, Euro and Canadian seasonal long range guidance. Based on that, there were a few things I noticed - first North Carolina was either threatened or impacted in almost all of those years; second - it seems like the central Gulf Coast is threatened or impacted during moderate to strong El Nino years and third - the analog data seemed to show a corridor of sorts from the Yucatan to the lower Texas coast where storms tracked. South Carolina, Georgia, Florida & The Eastern & Northeastern US Gulf Coast: Even though the longer range model guidance seems to suggest otherwise, there are quite a few analog points that indicate the west coast of Florida may be at some threat this season. With that said, I’m not convinced its a significant threat as of yet. 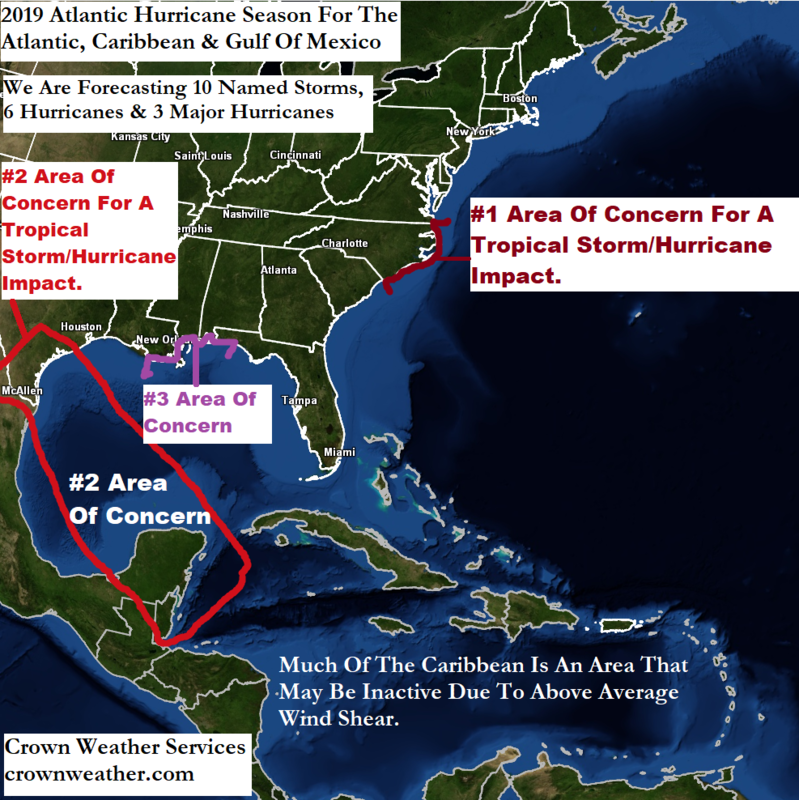 All-in-all, my main areas of concern this season are for tropical systems forming outside of the deep tropics north of 20 North Latitude and also in the Gulf of Mexico with the 3 main areas of impact concern being coastal North Carolina, the lower Texas coast and the central US Gulf coast. 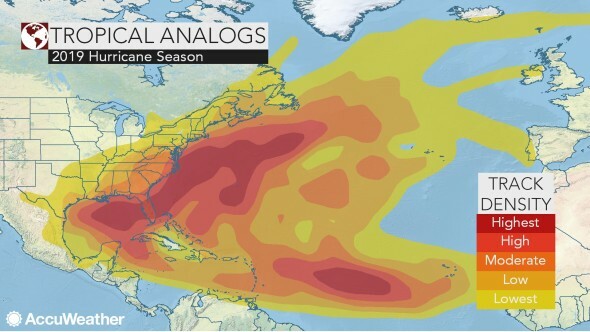 The reality is that even in strong El Nino years, the threat of a high-impact hurricane event is always there. I'm not sure ENSO state is really that useful for determining actual hurricane threat level for any particular location. The skill of forecasting just isn't there. If foecasters know ENSO will be in El Nino mode for the Atlantic hurricane season, it at least eliminates the possibility of a 2005/2017 type year. ENSO state is extremely important as it is a big chunk of their forecasts. La Nina you can comfortably call for an active season. Cool Neutral/Neutral ENSO years have equated to some monster years. Well there was talk that if the SST profile in the Atlantic is favorable that it could allow for a near normal to slightly above normal season number-wise. We are currently in a weak El Niño. Temps across the tropical Pacific are considerably warmer than they were last year at this time - both at the surface and sub-surface. El Nino looking very likely. AnnularCane wrote: We are currently in a weak El Niño. We currently have one, and Wxman57 is talking about El Nino odds for this upcoming hurricane season. On April 4,Phil Klotzbach of CSU will release the outlook as well TSR on the 5th so stay tuned. Rob why was there no long term prediction in November, like you did in 2018? This post is just a personal point of view, not an information. Please refer to official statements for life-threatening decisions. Between accuweather and crownweather it looks like we are not off the hook this year. It will be interesting to see what JB has to say about his risk areas. CSU abd TSR will be out in next couple of days with their numbers, I'm looking at below average numbers. But, we all know that it really isn't a numbers game. The most important factor is who is most at risk.